MOSCOW (Sputnik) - The communications satellites will be spread out evenly to provide seamless global coverage. They are equipped with modern Ka and Q-band transponders and support high-speed Internet, telephony and other broadcasting services. 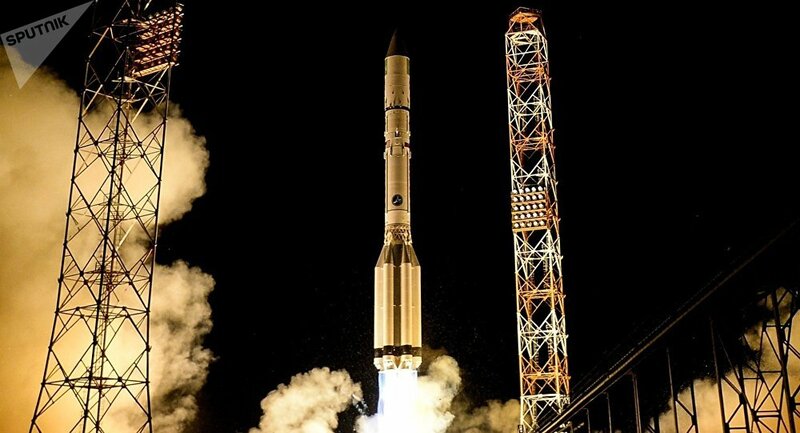 The launch of the fourth and last military communications satellite of Russia’s Blagovest constellation is tentatively planned for April, a source in the space industry told Sputnik. The Russian Defense Ministry has successfully deployed three satellites to the geostationary orbit since 2017. The system is expected to operate for 15 years. "The satellite will be delivered to the Baikonur space port in late February and will be ready for launch atop a Proton-M rocket in the first half of April," the source said.